If you are in the hospital and are being discharged, you might not have time to wait for Medicare to go through it's normal appeals process. This is why they have the FAST Medicare Appeals process. FAST Medicare Appeals in California: If you live in California, you can get an immediate review by the Quality Improvement Organization (QIO), Livanta, LLC (Livanta). Their telephone number is 877-588-1123. You might be able to stay in the hospital while they review your case, but you will have to pay any deductibles or coinsurance that applies. The fast appeal process is important, because it could extend your stay without you having to pay for the full hospital charges. If Livanta gets your request within the fast appeal time frame (no later than the day your scheduled to be discharged), it will notify the hospital and then you will get a “Detailed notice of discharge”. This notice will give you information as to why your services are no longer necessary, a description of the Medicare policy, and how the policy applies to you. After Livanta looks at your medical information and speaks to you, they will decide if you are ready to be discharged within one day of getting the information they need. If Livanta decides that you are being discharged too soon, then Medicare will cover your hospital stay as long it is medically necessary. You will have to continue to pay your copays and deductibles. If Livanta decides that you are ready to be discharged (and you met the deadline for a fast appeal) then you won’t be responsible for paying the hospital charges incurred through noon of the day after they give you their decision. Of course, you will still have to pay your copays and deductibles, and if you receive any inpatient hospital services after noon of that day, you may have to pay for them. You can also get a fast appeal if you think that your Skilled Nursing Facility, Home Health Agency, Comprehensive Outpatient Rehabilitation Facility, or hospice is ending too soon. When you receive your Notice of Medicare Non Coverage act fast. This notice tells you what your rights are, and time is limited. As with the hospital setting, the QIO in California is Livanta. Ask Livanta for a fast appeal no later than noon of the first day after the day you get the Notice of Medicare Non Coverage. If Livanta decides that your services are ending to soon, Medicare may continue to cover your SNF, HHA, CORF or hospice services, except for the deductible and copays. However, unlike the fast appeals for hospital settings, if Livanta decides that your services should end, you might be responsible for services provided after the termination date on the Notice of Medicare Non Coverage. 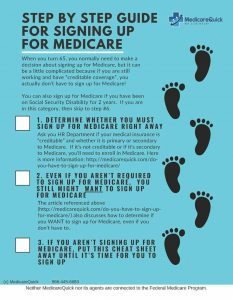 For more information go to http://www.medicare.gov. If you need help deciding which Medicare Insurance Plan is best for you, contact us at 866-445-6683 or use our contact us form.